Imagine gliding through clean white untouched powder, light as a feather and without a care in the world. Where are you? You’re on a freeride trip and LUEX can take you there! 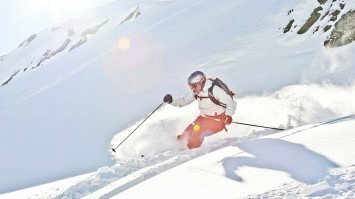 Freeride trips offer the chance to explore backcountry skiing and snowboarding terrain with an expert mountain guide for an optimal experience. Freeride trips can be customized to suit almost any budget or traveler type. If you’ve grown bored with resort skiing or snowboarding, or are just looking for a way to expand your horizons and improve your off-piste skills, try a guided backcountry ski or snowboard freeride trip. Skiing or riding with an experienced mountain guide can turn an ordinary trip into a valuable learning experience, while having fun, too! It is really worth every penny! Your expert backcountry guide is familiar with the area and conditions so he or she can take you to the best runs each day. If you’ve ever spent your ski holiday traipsing through slushy snow or screeching across ice, and just wished you knew where the secret stashes of powder were, then a guided freeride backcountry trip is just what you’re looking for. Your experienced backcountry guide will teach you about choosing the right lines for the perfect run. They are well-versed in avalanche safety and will teach you how to be safe and have fun, too. But your guide won’t be the only company on your freeride trip, you’ll also enjoy the company of a fun group of like-minded people. With your group you’ll learn the basics of backcountry and make fresh tracks everyday. No friends on a powder days? Think again: with one of our freeride trips, you’ll have new friends on powder days. One of the best reasons to choose a freeride trip is the variety of packages and terrain options available. 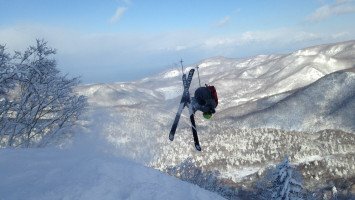 There is no typical freeride trip because each one is unique, and LUEX can help you find or tailor the perfect trip to suit your needs and budget. Freeride Weeks are weeklong trips which include all guiding, lodging and food. There are also trips available which include guiding and coaching only, leaving you to choose accommodation that best meets your needs, separate from the freeride trip. Freeride trips might also have different focuses. An expert skier will be looking for something quite different from an intermediate snowboarder, so LUEX can help you to decide which freeride trip is best for your ability and freeriding style. 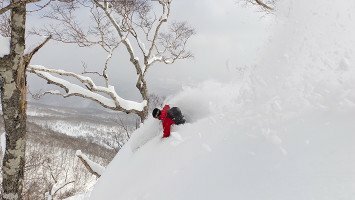 Some typical trips focus on freeriding for expert skiers, powder techniques for beginners, lift-accessed freeride or hiking-based freeride trips, and much more. LUEX can also help you find the perfect trip that is just for skiers, or for snowboarders only, so you can have the comfort of knowing that you’ve chosen the trip that will work best for you. Some special freeride trips are also offered for women only, or for people who want to learn how to make perfect turns for sharp slopes we have Steep Camps. 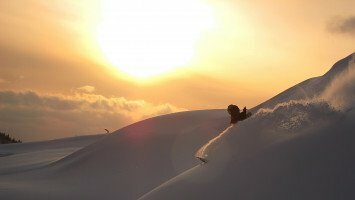 For those who want a unique freeriding experience, we have Ride with a Pro where you’ll get pointers on how to improve your skills while enjoying the company of a professional skier or rider. Great inspiration! 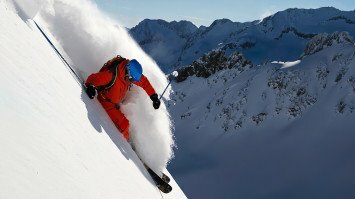 Freeride trips are available at a single resort, or multiple resort tours, with a group and led by a guide. LUEX has a freeride trip for every type of traveler, too! Whether you’re a solo traveler or with a group of friends, we can find the trip that will make everyone happy. 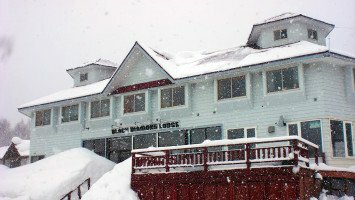 We also specialize in trips for girls only, or trips specially designed just for beginner, intermediate, or expert skiers and riders. If you’re interested in taking your skiing or riding to the next level, freeriding is the perfect way to start because it’s one of the few budget-friendly skiing or snowboarding adventures available. 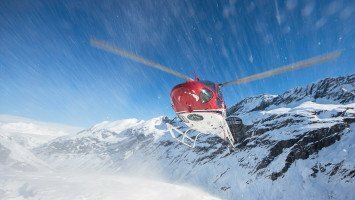 Compared to heliskiing, you might consider freeriding downright cheap! Freeride trips are also available on budget and medium standards so there’s definitely something for everyone. Freeride trips are found throughout the world, but there are a few special gems out there in some of the worlds most beautiful locations. For luxury and amazing untouched powder, head to Canada for a freeride trip that you’ll never forget. During your summer, experience Chile or Argentina’s winter, for unbelievable snow and a cultural excursion on your freerding trip. Exotic and culturally rich freeriding trips are also available in Japan, India, Russia, and many more locations. Or head to the classic freeride destination, the Alps, for a freeride trip that you’re sure to enjoy. 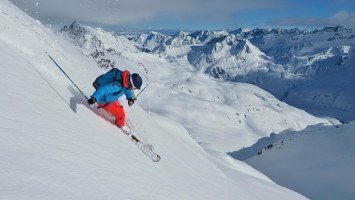 Whether you’ve been wanting to learn backcountry skiing or riding technique your entire life and are ready to give it a shot, or you’re just looking for a fun and relaxing skiing holiday, choosing a freeride trip is a decision you won’t regret. Freeriding is an affordable way to discover new terrain, learn new skills, meet great new people, and maybe even explore exotic cultures. But the number one reason to choose a freeriding trip is the amazing powder that you’re going to love. Let LUEX help you choose your freeride trip now, so you can go out and explore!